The Appalachian Mountains ( or ,[note 1] French: les Appalaches), often called the Appalachians, are a system of mountains in eastern North America. The Appalachians first formed roughly 480 million years ago during the Ordovician Period and once reached elevations similar to those of the Alps and the Rocky Mountains before they were eroded. The Appalachian chain is a barrier to east-west travel as it forms a series of alternating ridgelines and valleys oriented in opposition to any road running east-west. Definitions vary on the precise boundaries of the Appalachians. 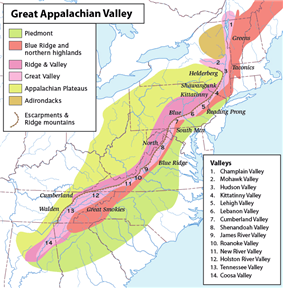 The United States Geological Survey (USGS) defines the Appalachian Highlands physiographic division as consisting of thirteen provinces: the Atlantic Coast Uplands, Eastern Newfoundland Atlantic, Maritime Acadian Highlands, Maritime Plain, Notre Dame and Mégantic Mountains, Western Newfoundland Mountains, Piedmont, Blue Ridge, Valley and Ridge, Saint Lawrence Valley, Appalachian Plateaus, New England province, and the Adirondack provinces. A common variant definition does not include the Adirondack Mountains, which geologically belong to the Grenville Orogeny and have a different geological history from the rest of the Appalachians. The range is mostly located in the United States but extends into southeastern Canada, forming a zone from 100 to 300 mi (160 to 480 km) wide, running from the island of Newfoundland 1,500 mi (2,400 km) southwestward to Central Alabama in the United States. The range covers parts of the islands of Saint Pierre and Miquelon, which comprise an overseas territory of France. The system is divided into a series of ranges, with the individual mountains averaging around 3,000 ft (910 m). The highest of the group is Mount Mitchell in North Carolina at 6,684 feet (2,037 m), which is the highest point in the United States east of the Mississippi River. 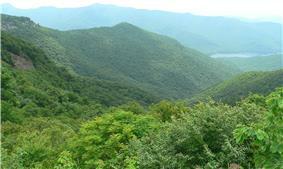 The term Appalachian refers to several different regions associated with the mountain range. Most broadly, it refers to the entire mountain range with its surrounding hills and the dissected plateau region. The term is often used more restrictively to refer to regions in the central and southern Appalachian Mountains, usually including areas in the states of South Carolina, and as far north as Pennsylvania, southern Ohio and parts of southern upstate New York. The Ouachita Mountains in Arkansas and Oklahoma were originally part of the Appalachians as well, but became disconnected through geologic history. Whether the final -ia is the monophthong /ɨ/ or the vowel sequence . Before the French and Indian War, the Appalachian Mountains laid on the indeterminate boundary between Britain's colonies along the Atlantic and French areas centered in the Mississippi basin. After the French and Indian War, the George Rogers Clark were motivated to secure their settlement of Kentucky. By 1755, the obstacle to westward expansion had been thus reduced by half; outposts of the English colonists had penetrated the Allegheny and Cumberland plateaus, threatening French monopoly in the transmontane region, and a conflict became inevitable. Making common cause against the French to determine the control of the Ohio valley, the unsuspected strength of the colonists was revealed, and the successful ending of the French and Indian War extended England's territory to the Mississippi. 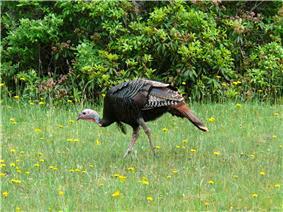 To this strength the geographic isolation enforced by the Appalachian mountains had been a prime contributor. The confinement of the colonies between an ocean and a mountain wall led to the fullest occupation of the coastal border of the continent, which was possible under existing conditions of agriculture, conducting to a community of purpose, a political and commercial solidarity, which would not otherwise have been developed. As early as 1700 it was possible to ride from Portland, Maine, to southern Virginia, sleeping each night at some considerable village. In contrast to this complete industrial occupation, the French territory was held by a small and very scattered population, its extent and openness adding materially to the difficulties of a disputed tenure. Bearing the brunt of this contest as they did, the colonies were undergoing preparation for the subsequent struggle with the home government. Unsupported by shipping, the American armies fought toward the sea with the mountains at their back protecting them against British leagued with the Native Americans. The few settlements beyond the Great Valley were free for self-defense because debarred from general participation in the conflict by reason of their position. In eastern Pennsylvania the Great Appalachian Valley, or Great Valley, was accessible by reason of a broad gateway between the end of South Mountain and the Highlands, and many Germans and Moravians settled here between the Susquehanna and Delaware Rivers forming the Pennsylvania Dutch community, some of whom even now speak a unique American dialect of German known as the "Pennsylvania German language" or "Pennsylvania Dutch." These latecomers to the New World were forced to the frontier to find cheap land. With their followers of both German, English and Scots-Irish origin, they worked their way southward and soon occupied all of the Shenandoah Valley, ceded by the Iroquois, and the upper reaches of the Great Valley tributaries of the Tennessee River, ceded by the Cherokee. 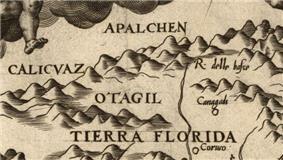 For a century, the Appalachians were a barrier to the westward expansion of the British colonies. The continuity of the mountain system, the bewildering multiplicity of its succeeding ridges, the tortuous courses and roughness of its transverse passes, a heavy forest, and dense undergrowth all conspired to hold the settlers on the seaward-sloping plateaus and coastal plains. Only by way of the Hudson and Mohawk Valleys, Cumberland Gap, the Wachesa Trail, and round about the southern termination of the system were there easy routes to the interior of the country, and these were long closed by powerful Native American tribes such as the Iroquois, Creek, and Cherokee, among others. Expansion was also blocked by the alliances the British Empire had forged with Native American tribes, the proximity of the Spanish colonies in the south and French activity throughout the interior. The oak forests generally lack the diverse small tree, shrub and herb layers of mesic forests. Shrubs are generally ericaceous, and include the evergreen mountain laurel (Kalmia latifolia), various species of blueberries (Vaccinium spp. 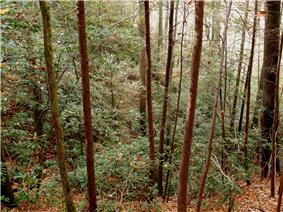 ), black huckleberry (Gaylussacia baccata), a number of deciduous rhododendrons (azaleas), and smaller heaths such as teaberry (Gaultheria procumbens) and trailing arbutus (Epigaea repens ). The evergreen great rhododendron (Rhododendron maximum) is characteristic of moist stream valleys. These occurrences are in line with the prevailing acidic character of most oak forest soils. In contrast, the much rarer chinquapin oak (Quercus muehlenbergii) demands alkaline soils and generally grows where limestone rock is near the surface. Hence no ericaceous shrubs are associated with it. Dryer and rockier uplands and ridges are occupied by oak-chestnut type forests dominated by a variety of oaks (Quercus spp. ), hickories (Carya spp.) and, in the past, by the American chestnut (Castanea dentata). The American chestnut was virtually eliminated as a canopy species by the introduced fungal chestnut blight (Cryphonectaria parasitica), but lives on as sapling-sized sprouts that originate from roots, which are not killed by the fungus. 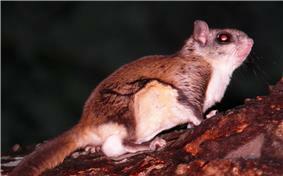 In present-day forest canopies chestnut has been largely replaced by oaks. The dominant northern and high elevation conifer is the red spruce (Picea rubens), which grows from near sea level to above 4,000 ft (1,200 m) above sea level (asl) in northern New England and southeastern Canada. It also grows southward along the Appalachian crest to the highest elevations of the southern Appalachians, as in North Carolina and Tennessee. In the central Appalachians it is usually confined above 3,000 ft (900 m) asl, except for a few cold valleys in which it reaches lower elevations. 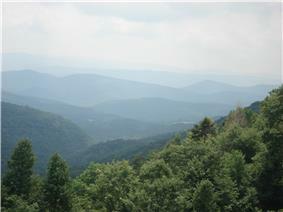 In the southern Appalachians it is restricted to higher elevations. Another species is the black spruce (Picea mariana), which extends farthest north of any conifer in North America, is found at high elevations in the northern Appalachians, and in bogs as far south as Pennsylvania. 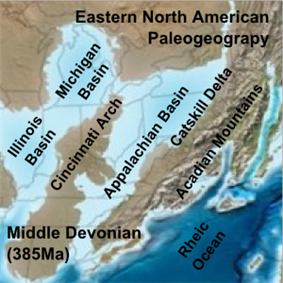 During the middle Ordovician Period (about 496-440 Ma), a change in plate motions set the stage for the first Paleozoic mountain-building event (Taconic orogeny) in North America. The once-quiet Appalachian passive margin changed to a very active plate boundary when a neighboring oceanic plate, the Iapetus, collided with and began sinking beneath the North American craton. With the birth of this new subduction zone, the early Appalachians were born. 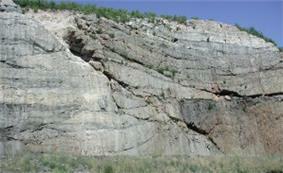 Along the continental margin, volcanoes grew, coincident with the initiation of subduction. 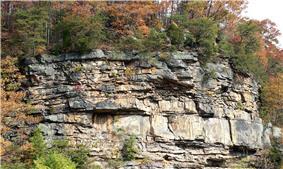 Thrust faulting uplifted and warped older sedimentary rock laid down on the passive margin. As mountains rose, erosion began to wear them down. Streams carried rock debris down slope to be deposited in nearby lowlands. The Taconic Orogeny was just the first of a series of mountain building plate collisions that contributed to the formation of the Appalachians, culminating in the collision of North America and Africa (see Appalachian orogeny). A look at rocks exposed in today's Appalachian mountains reveals elongated belts of folded and thrust faulted marine sedimentary rocks, volcanic rocks and slivers of ancient ocean floor, which provides strong evidence that these rocks were deformed during plate collision. The birth of the Appalachian ranges, some 480 Ma, marks the first of several mountain-building plate collisions that culminated in the construction of the supercontinent Pangaea with the Appalachians near the center. Because North America and Africa were connected, the Appalachians formed part of the same mountain chain as the Little Atlas in Morocco. This mountain range, known as the Central Pangean Mountains, extended into Scotland, from the North America/Europe collision (See Caledonian orogeny). In the northern section the height of land lies on the inland side of the mountainous belt, and thus the main lines of drainage runs from north to south, exemplified by the Hudson River. However, the valley through which the Hudson River flows was cut by the gigantic glaciers of the Ice Ages—the same glaciers that deposited their terminal moraines in southern New York and formed the east-west Long Island. There are many geological issues concerning the rivers and streams of the Appalachians. In spite of the existence of the Great Appalachian Valley, many of the main rivers are transverse to the mountain system axis. The James River, Potomac River, and Susquehanna River. Chief summits in the southern section of the Blue Ridge are located along two main crests—the Western or Unaka Front along the Tennessee-North Carolina border and the Eastern Front in North Carolina—or one of several "cross ridges" between the two main crests. Major subranges of the Eastern Front include the Brasstown Bald, the state's highest, at 4,784 ft (1,458 m) and 4,696 ft (1,431 m) Rabun Bald. In Pennsylvania, there are over sixty summits that rise over 2,500 ft (800 m); the summits of Mount Davis and Blue Knob rise over 3,000 ft (900 m). In Maryland, Eagle Rock and Dans Mountain are conspicuous points reaching 3,162 ft (964 m) and 2,882 ft (878 m) respectively. On the same side of the Great Valley, south of the Potomac, are the Pinnacle 3,007 feet (917 m) and Pidgeon Roost 3,400 ft (1,000 m). In West Virginia, more than 150 peaks rise above 4,000 ft (1,200 m), including Spruce Knob 4,863 ft (1,482 m), the highest point in the Allegheny Mountains. A number of other points in the state rise above 4,800 ft (1,500 m). Snowshoe Mountain at Thorny Flat 4,848 ft (1,478 m) and Bald Knob 4,842 ft (1,476 m) are among the more notable peaks in West Virginia. Mountains of the Long Range in Newfoundland reach heights of nearly 3,000 ft (900 m). In the Chic-Choc and Notre Dame mountain ranges in Quebec, the higher summits rise to about 4,000 ft (1,200 m) elevation. Isolated peaks and small ranges in Nova Scotia and New Brunswick vary from 1,000 to 2,700 ft (300 to 800 m). In Maine several peaks exceed 4,000 ft (1,200 m), including Mount Katahdin at 5,267 feet (1,605 m). In New Hampshire, many summits rise above 5,000 ft (1,500 m), including Mount Washington in the White Mountains at 6,288 ft (1,917 m), Adams at 5,771 ft (1,759 m), Jefferson at 5,712 ft (1,741 m), Monroe at 5,380 ft (1,640 m), Madison at 5,367 ft (1,636 m), Lafayette at 5,249 feet (1,600 m), and Lincoln at 5,089 ft (1,551 m). In the Green Mountains the highest point, Mt. 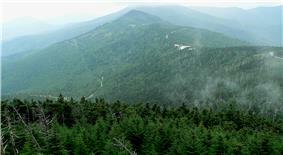 Mansfield, is 4,393 ft (1,339 m) in elevation; others include Killington Peak at 4,226 ft (1,288 m), Camel's Hump at 4,083 ft (1,244 m), Mt. Abraham at 4,006 ft (1,221 m), and a number of other heights exceeding 3,000 ft (900 m). The International Appalachian Trail is an extension of this hiking trail into the Canadian portion of the Appalachian range in Quebec. The dissected plateau area, while not actually made up of geological mountains, is popularly called "mountains," especially in eastern Kentucky and West Virginia, and while the ridges are not high, the terrain is extremely rugged. 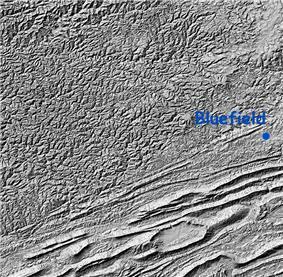 In Ohio and New York, some of the plateau has been glaciated, which has rounded off the sharp ridges, and filled the valleys to some extent. The glaciated regions are usually referred to as hill country rather than mountains. Central: The central section goes from the Hudson Valley to the New River (Great Kanawha) running through Virginia and West Virginia. It comprises (excluding various minor groups) the Valley Ridges between the Allegheny Front of the Allegheny Plateau and the Great Appalachian Valley, the New York - New Jersey Highlands, the Taconic Mountains in New York, and a large portion of the Blue Ridge. In U.S. dialects in the southern regions of the Appalachians, the word is pronounced /ˌæpəˈlætʃɨnz/, with the third syllable sounding like "latch." In northern parts of the mountain range, it is pronounced /ˌæpəˈleɪtʃɨnz/ or /ˌæpəˈleɪʃɨnz/; the third syllable is like "lay", and the fourth "chins" or "shins." Elsewhere, a commonly accepted pronunciation for the adjective Appalachian is /ˌæpəˈlætʃiən/, with the last two syllables "-ian" pronounced as in the word "Romanian." The name was not commonly used for the whole mountain range until the late 19th century. A competing and often more popular name was the "Allegheny Mountains," "Alleghenies," and even "Alleghania." In the early 19th century, Washington Irving proposed renaming the United States either Appalachia or Alleghania.